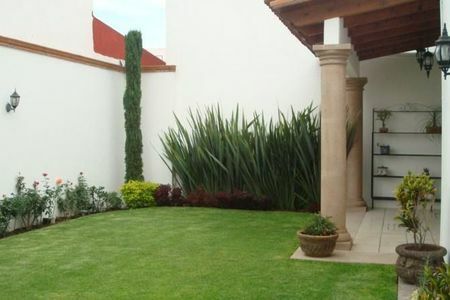 CASA DE UNA PLANTA EN VENTA EN FRACCIONAMIENTO RESIDENCIAL CON VIGILANCIA LAS 24 HRS. A 15 MINUTOS DE LA PLAZA PRINCIPAL DE TEQUISQUIAPAN. CONSTA DE 3 RECAMARAS CON CLOSETS, 2 BAÑOS COMPLETOS, SALA CON CHIMENEA, COMEDOR, COCINA EQUIPADA, AMPLIA ALACENA, CUARTO DE LAVADO, ESTACIONAMIENTO PARA 3 AUTOS. MUY ILUMINADA. CUENTA CON TERRAZA, PALAPA, ASADOR, ALBERCA, CANCHA DE TENIS, JARDIN, BODEGA. TIENE UN BUNGALOW CON 2 RECAMARAS Y UN BAÑO COMPLETO. EL FRACC. CUENTA CON CASA CLUB DONDE HAY ALBERCAS, CANCHA DE FUTBOL Y BASQUETBOL Y AL ADQUIRIR UNA PROPIEDAD SE CONVIERTE EN SOCIO PUDIENDO HACER USO DE LAS INSTALACIONES.